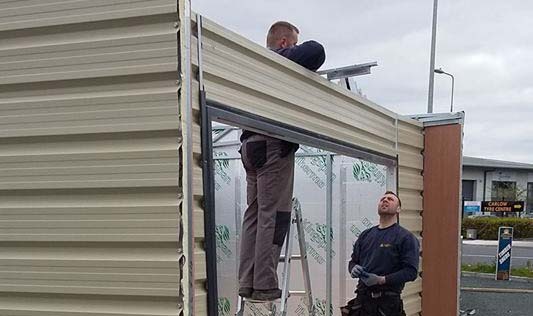 If you’re looking for a new way to get the most from your garden, then Steeltech Garden Rooms and Garden Studios are the ideal solution. 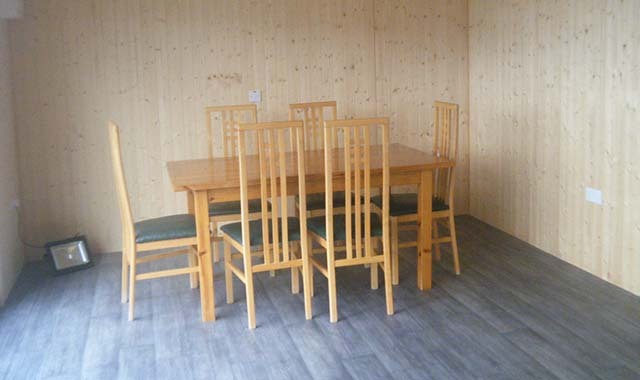 Basically, Steeltech Garden Rooms and Garden Studios to enjoy the best of indoors, outdoors. To give an example of what’s possible with Steeltech Garden Rooms and Garden Studios, we recently installed one ourselves. You can call to see it at our outdoor display area at Fine Framers, in the Wexford Road Business Park on the outskirts of Carlow. We opted for a 6m x 4m unit, with standard steel in a mushroom colour, with slate trim. Other cladding and roof options include vertical plank woodgrain, white PVC vortex, and brick effect. These units also come with many options regarding doors and windows. We opted for a full glass PVC sliding door casement, with full length glass casement windows on either side. This gives great light throughout the garden room, and in a garden setting, will allow the user to enjoy a full view of their garden too. All windows are double glazed, in PVC frames that come in a choice of colours. 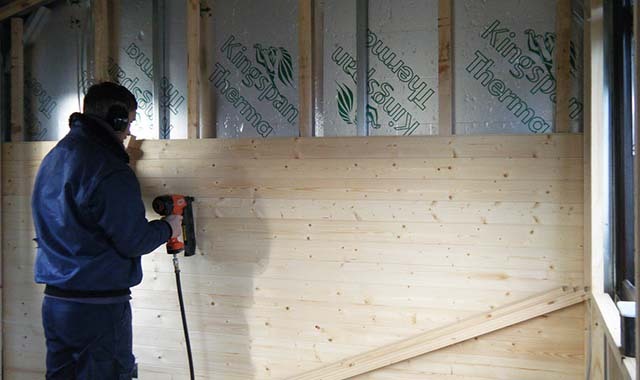 All Steeltech Garden Rooms and Garden Studios also come with Kingspan insulation as standard. You can choose 25mm or 50mm depths. This makes them easy to heat and keep warm when the weather outside is not so good. We opted to finish this unit on the inside with a timber Tongue and Groove finish on the walls and ceiling. It was also fully wired with lights and sockets and fuse box. This is done as standard too during the erection stage. This means the only thing a customer needs an electrician for is to connect the new unit to the power supply. We opted to leave our unit as open plan, and we put in a couch and table & chairs. We can design other lay-outs too. You could include a bathroom, a kitchenette…whatever you want! 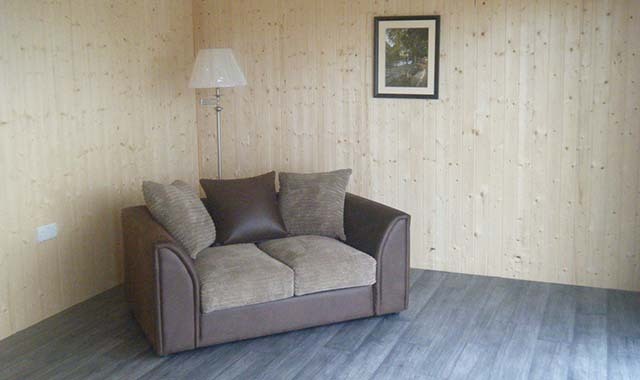 If you like the look of our Steeltech Garden Room and are thinking of what we could do for you, then just call to see us or contact us to talk more. All our Steeltech Garden Rooms and Garden Studios are custom designed and built to match the customer’s exact desires. We can do them in a lean-to style like ours, or as an Apex one. 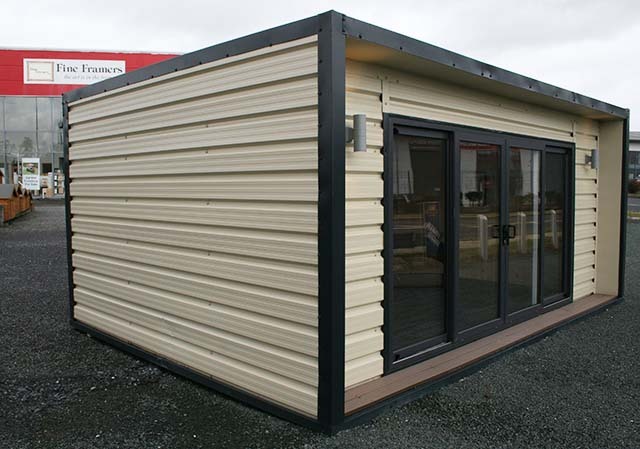 We can design and build a unit at any size, to suit your available space. If you are unsure of what will work best in your garden, you can even contact us to arrange an on-site visit. We’ll have a look and give you the benefit of all our experience and expertise. We will install on site anywhere in Ireland. Just let us know what you want, and we can do it for you!